"It's not over until the actual deed to the property and the building are handed over." Photo by AmyJo Brown Pittsburgh Public Schools are looking at four developers interested in purchasing the former Schenley High School in Oakland. Inside Schenley High School, Pete Camarda steps around the ceiling tiles that have dropped about 14 feet to land on the floor of the vacant hallway. 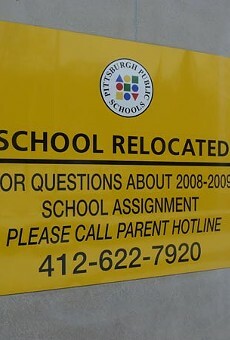 "Let's walk with our heads up," the Pittsburgh Public Schools chief financial and operations officer says. "I keep seeing more of the tiles on the floor." 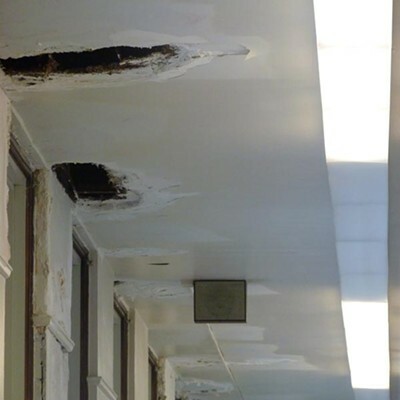 Indeed, the ceiling of the grand, historic and massive building in Oakland, shuttered as a school in 2008, is pockmarked with missing tiles and water stains. Paint and plaster on the walls, particularly around the windows, are peeling away, leaving piles of debris in the halls where thousands of students once tread. 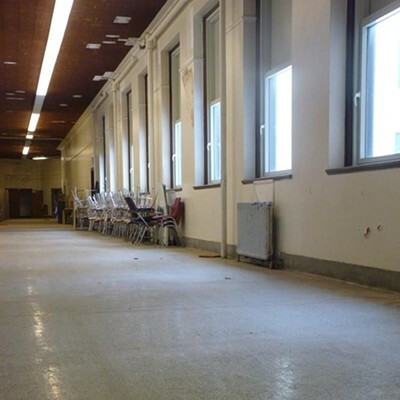 Without those students in the building to warrant turning on the school's mechanical systems and the air circulation that comes with their activity, the building has deteriorated quickly in the five years it has been vacant, custodians say. In addition to the continuing cracks, mold and falling debris, a two-foot high bump has appeared in the gymnasium floor, covering about 20 feet. It was first noticed last fall. Custodians speculate that storm water backing up into the swimming pool underneath the gym might be causing moisture to build. 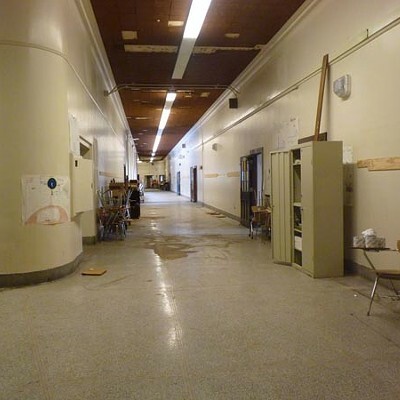 "This wasn't for dramatic purpose," Camarda says as visitors to the school examine the decay. "The situation was as the situation was described." The district, which decided to close and sell the school after reports that it was facing up to a $64 million repair bill — mainly due to alleged high levels of asbestos — is considering a $5.2 million bid from Philadelphia-based developer PMC/Schenley HSB Associates, LP to purchase the 320,000-square-foot landmark building. PMC has proposed turning the building, built in 1916, into 175 luxury apartments. The proposal, which has been recommended to the district by its review committee — coordinated by Fourth River Development LLC, which is overseeing the sale of the property on the district's behalf — will be the subject of a public hearing and vote by the city school board later this month. 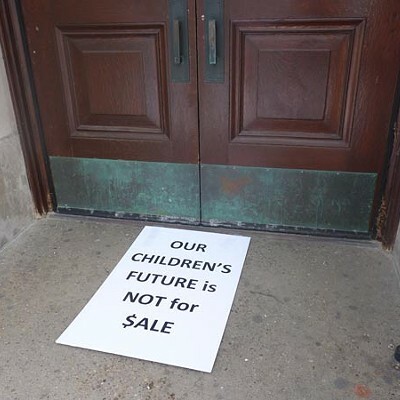 But despite the building's poor condition and the recommended bidder's plan to turn the facility into condos, Schenley alumni refuse to give up the effort to make sure that their school stays a school. 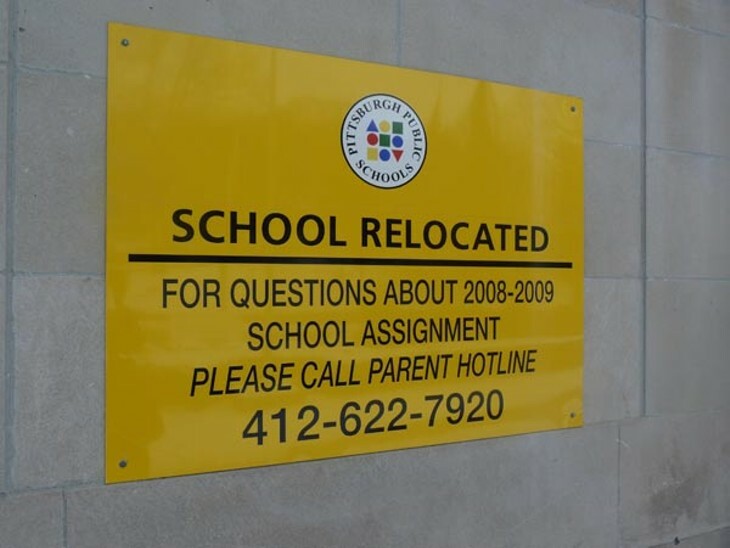 "I think there is a group that keeps the issue alive, and they are very successful at that," says Pittsburgh school board member Sherry Hazuda. Edward Alexei (second from left), Liz Berlin (fourth from left) and David Tinker (fifth from left) protest with other Schenley alumni last week. 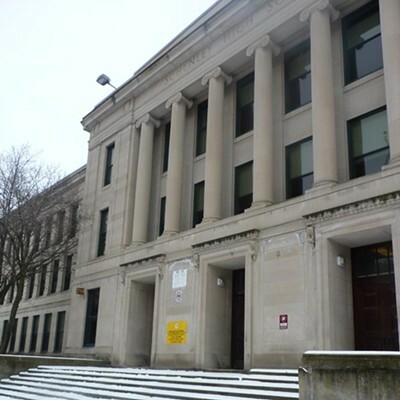 Their movement, given renewed life last summer after a report surfaced challenging the level of asbestos in the building, won a victory last month when the school board agreed to re-examine the costs to renovate the school before voting on PMC's bid. 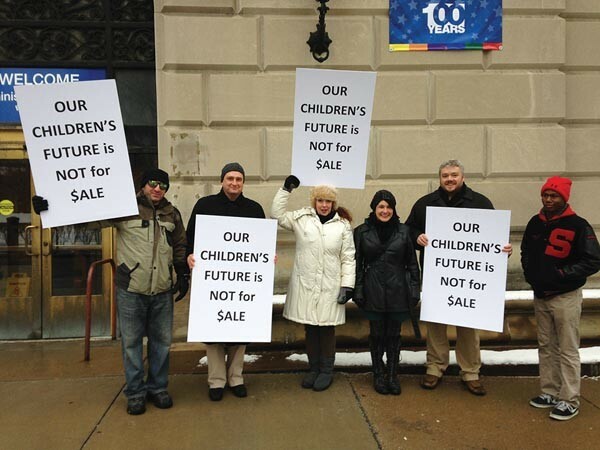 If that fails, alumni who organized their own bid for the school — the Andy Warhol School of Visual and Performing Arts (the name is pending approval by the Andy Warhol Foundation) — are continuing their lobbying. The group's leaders say they are not deterred despite being passed over by the review committee that examined each of the four bids submitted to buy the property. 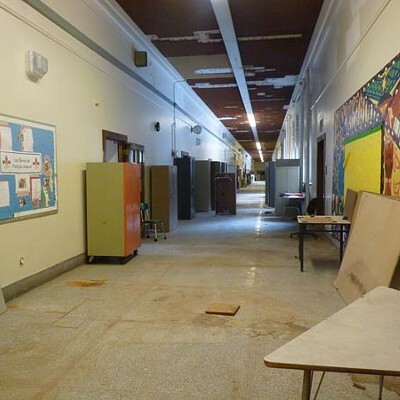 "It's not over until the actual deed to the property and the building are handed over to PMC," says 1988 alum Edward Alexei, who is leading the AWSVPA charge to purchase the building in order to keep it a school. "Just because we didn't get the nod from the committee doesn't mean we're going to stop." Over the next few weeks, the school board is hoping to resolve the debate over Schenley, one way or another. 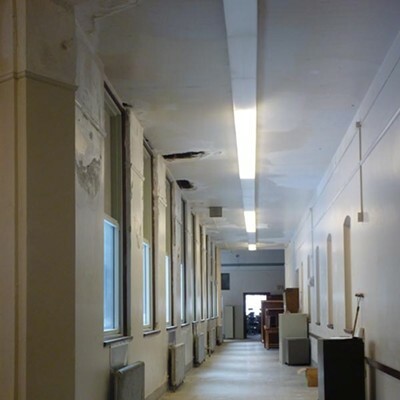 A set of reports reviewing the history of the decision and offering updated estimates for the school's renovations, prepared by Pittsburgh Schools Superintendent Linda Lane, are expected as soon as this week. "We have to be fiscally responsible to taxpayers, and that's where the challenge is," Hazuda says. Alexei, like other Schenley graduates, says he is horrified at the damage done to his beloved school, calling it shameful that it has been left in disrepair. But he says he's even more aghast at the idea of it going into a developer's hands. "When I heard they were going to turn it into condos, I said, ‘Hell, no.' You can quote that," he says. Born in the Ukraine, Alexei, with his parents and his older sister, came to Pittsburgh in 1979 when he was 9 years old. He went through the international studies and high-technology magnet programs at Schenley. He went on to launch a career in the technology industry, founding a startup called Hungry Mouse Inc. at the age of 25. It provided a way to order food online for takeout or delivery, and its first partners were America Online and Pizza Hut. He says he believes in being able to make the impossible possible. "I hounded the chief information officer at Pizza Hut for six months before he gave me a meeting," Alexei says. He went on to found and exit from another company, Data Line Products, and has remained in the technology industry, investing and consulting. He lives now in San Francisco with his wife and 4-year-old son and works for Citrix, the company perhaps best known for its GoToMeeting software. His parents still live in Stanton Heights, along with two dozen other relatives in the city, who all followed them from the Ukraine, he says. Schenley graduate Edward Alexei, who competed on the school's swim team, was inspired to save the school when informed of its pending sale by Pittsburgh Stingrays coach Hosea Holder. 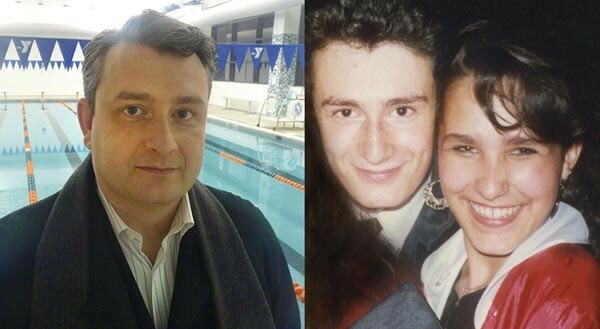 On the right, Alexei is pictured with Liz Berlin in 1988 at Schenley High School. The close friends are hoping to save their former high school from falling into the hands of developers. 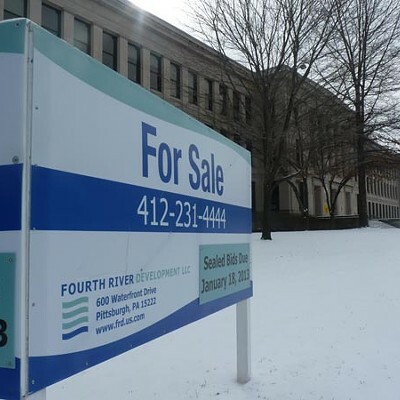 The offer he and the AWSVPA group — which also includes Liz Berlin, co-owner of Mr. Small's Funhouse and a founding member of Rusted Root — made the school district was $4.1 million, the third highest bid after PMC's. (The second highest bid, for $4.6 million, was proposed by the Kossman Development Company, which sought to establish a charter school for dyslexic children, as well as housing units.) They have proposed filling Schenley with students again by opening a private school with a curriculum focused on digital animation production, video-game design and development, film production, and audio and music recording production. Alexei and Berlin are both careful to distinguish that the curriculum is intended to complement rather than compete with the district's own creative- and performing-arts school, CAPA. "No such programs exist in Pittsburgh," Alexei says. Berlin says the audio and music production track, for example, will be an expansion of the recording and songwriting classes she already teaches at Mr. Small's. Alexei and Berlin, who graduated the same year, became close friends during their time at Schenley. She also credits the school and her classes in music, theater and the arts as setting her on her career path. "It would be a shame to see that building chopped up," she says. "It was a really wonderful school. 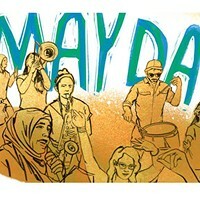 I would love to see it remain in the service of the students." David Tinker, a 1989 Schenley graduate who is serving with Berlin and Alexei on the steering committee, says the former high school made a strong impression. "Kids from throughout the city went there; it made for some pretty strong friendships," he says, adding that he and Alexei met on the volleyball team. "It had such an important role in my life. 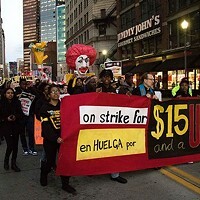 We want to make sure others have an opportunity to experience that as well." 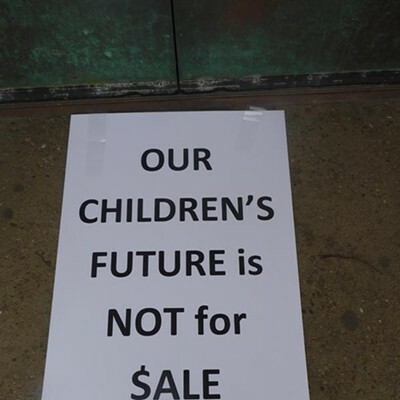 But the proposal's expected enrollment of 1,000 tuition-paying students and the $13-16 million budget for renovations — low compared to the district's own past estimates and PMC's expected budget of nearly $40 million for remodeling — has caused school-board members to hesitate. "If there was the population to service more students, we would have the schools opened," says board director Theresa Colaizzi, who says she worries the group hasn't sufficiently done its homework. Colaizzi, who says she supports PMC's bid, says she's sympathetic to the alumni group's concerns. "I don't want to lose [Schenley] either," she says. "None of us did. But the reality of what it would take to make it a school again was really tough." Alexei, along with other Schenley alumni, is banking on being able to change minds in light of a revelation this summer: the discovery of a 2009 report prepared for school officials showing that asbestos levels were under 1 percent in the samples taken. That contradicted officials' earlier claims that the levels reached as high as 6 percent and could contribute significantly to the costs of renovation. The news and a resulting online petition, signed by 1,036 supporters as of Feb. 11 on the website www.change.org, has prompted the support of local politicians, including former state Auditor General Jack Wagner, state Sen. Jim Ferlo, City Councilor Daniel Lavelle and Allegheny County Councilors Barbara Daly Danko, William Robinson and James Ellenbogen. 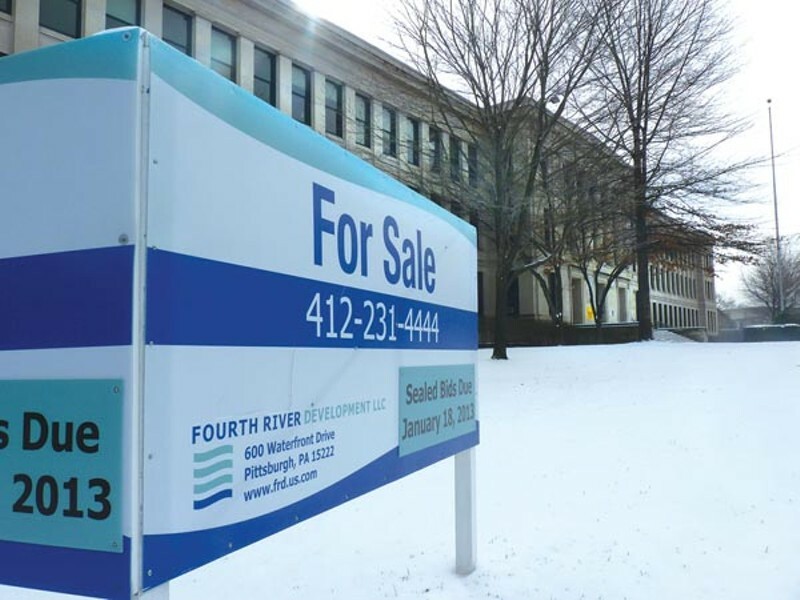 And in January, as the district opened four sealed bids for the property, Pittsburgh City Controller and mayoral candidate Michael Lamb, who serves as controller for the school district, sent out a public plea for the board to slow down and review the decision again. "Clearly the studies that were done in preparing the building for sale after the closure revealed that the structure damage wasn't quite as originally thought," he says, adding that such a decision should be made with the best information available. Camarda declined to comment on the reports that the asbestos wasn't as bad as feared. "There are a million reports out there," he says. "We weren't misrepresenting the condition of the building." Colaizzi says she remains comfortable with the decision to close the school because, although opinions varied on how much repairs would cost, they were all still too high. "Yes, they were all over the place, depending on the opinion," she says. "But the reality was they all said, ‘Until we start the work, we can't tell you how much it would be.' ... That scared us." 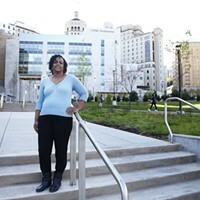 Of the groups still trying to save Schenley, she says, "I appreciate their passion," But, "realistically, you have to think about what is best for the entire city, not just one building. It's a hard pill to swallow." Hazuda says she, too, is sympathetic to the cause. But she adds that it might be time to let it go. "The people on my end of town think the Schenley people are crazy. They don't get it," she says. "It's like, ‘Why don't they give up already?'" Alexei won't hear of it. "When they start selling apartments, I think it's pretty much time to give up. Until then, we'll do our best," he says. "That building was meant to be a school. Nothing else."